Are you still stuck in the “eggs are bad” school of thought? If you are, let me try to sway you to the other side. Let me begin by dispelling the myth that the cholesterol in eggs will harm you. While it is true, eggs contain cholesterol; it is this cholesterol that helps to regulate cholesterol in the body. Studies show that “good” HDL cholesterol actually rises when people eat eggs. In most cases, there is no change in “bad” LDL cholesterol or only a very minor one at that. 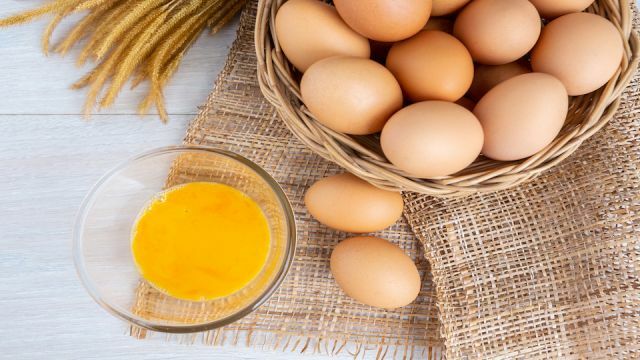 So, now that we have that settled let’s move on to some of the fantastic reasons why eggs should no longer be your enemy but be embraced as the superfood they are. Eggs can not only reduce the risk of heart disease but also have a positive impact on cardiovascular function. Free range eggs, from pasture-raised hens, contain double the amount of health-promoting Omega-3 as eggs taken from hens raised in battery cages. Not only do Omega-3 fatty acids lower blood triglycerides but they also help regulate cholesterol. This is excellent news, as having higher blood triglycerides is directly linked to an increased risk of developing heart disease. Metabolic syndrome is that group of conditions that increase the likelihood of some different diseases including stroke, diabetes, and heart disease. The conditions include elevated blood sugar, increased body fat (especially around the waist) and abnormal cholesterol levels. One 2016 study of individuals over 40 included a 3-year review of their egg consumption. It was found that eating more eggs may reduce the risk of metabolic syndrome in adults over 40. Also, eggs had a positive impact on blood glucose and triglycerides, especially in men. Eggs also contain naturally occurring carotenoids. People who consume a diet high in carotenoids, live longer and experience lower mortality from chronic illness. The particular carotenoids in eggs (that give the yolk it’s beautiful yellow color) actually help the body absorb additional carotenoids from raw veggies when the two are eaten together. Carotenoids in eggs are not only paramount to overall good health and prevention of disease, but they also promote eye health. Eggs contain two “oxygenated” carotenoids, lutein and zeaxanthin. Both act as antioxidants and anti-inflammatories, filtering out dangerous blue spectrums of light and reducing the risk of macular degeneration and glaucoma. The same way that lutein and zeaxanthin protect eyes by filtering out dangerous wavelengths, they also protect the skin, thus slowing down the oxidative damage that light can cause – especially UV rays. Eggs contain a hefty supply of five of the eight best nutrients to help reduce the risk of and fight skin cancer. You might be familiar with eating eggs while trying to drop weight because of their high protein content. But did you know that they also contain another ingredient that makes them a valuable weight loss food? Lutein, as mentioned above, is well known for its ability to keep eyes and skin healthy, it is also an amazing weight loss tool. Studies show that it can positively impact physical activity levels. Eggs are a healthy addition to any weight loss program as they keep you full and reduce the number of calories you may eat for a whole 36 hours after you eat them! Our bodies produce a very small amount of the macronutrient choline. For the most part, we need to get this macronutrient from the food we eat. Eggs are a great choice as they are choline-rich. Eating eggs promotes healthy liver function and brain development. Choline has been used as a successful treatment for persons with neurological conditions such as depression and can improve memory and cognitive function. Persons who are diagnosed with fatty liver disease often have a choline deficiency which is also linked to some forms of cancer. Eggs from free range hens are not only superior in nutrition, but they are also 98 percent less likely to carry salmonella. Hey Buddy!, I found this information for you: "The Great News About Eggs: Are They Finally Off The Hook?". Here is the website link: https://www.thealternativedaily.com/great-news-about-eggs-finally-off-the-hook/. Thank you.